Time for a change! 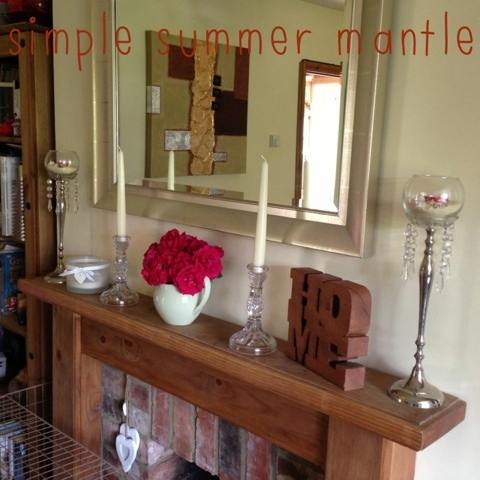 I wanted something a bit simpler for the summer mantle. 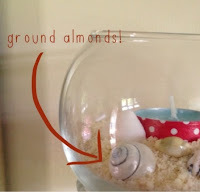 I knew I wanted to change the candlesticks and so I unscrewed the tops and added a small round bowl on top, into which I placed some ground almonds as I didn't have sand, a washi wrapped tea light and some shells. Flowers have mostly been these red roses in the green jug, but as these are now going over I might try some white buddleja. 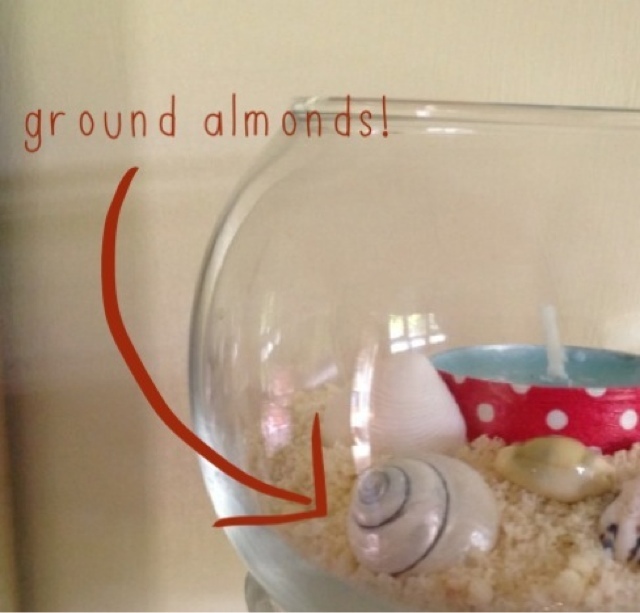 This display was intentionally super quick and super plain, I needed a few weeks of less clutter! I have also written posts on my easter and spring mantle displays just click to view.